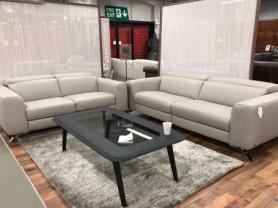 Modern slick design with high back for extra support these sofas are reciepe for comfort. Beautiful off the floor chrome feet and easy to clean fabric. These sofas are built with comfort and durability in mind.